Rice Cooker Gas System 10 L.
The pot lid is made of stainless steel. And easy to clean. Rice Cooker Made of aluminum. Heat Exchanger With leading technology from Japan. Outer pot Made of fine metal Non-rust free. Tray is made of stainless steel. Rugged and durable. big burner Excellent quality, durable. High quality gas valve, easy point and automatic warming system. 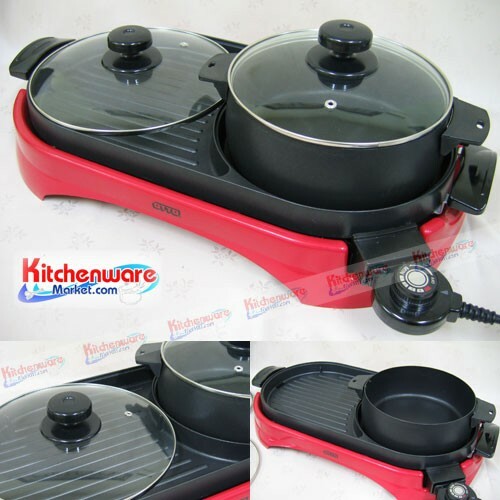 Size 52.8 x 48.3 x 41.5 cm Supports rice cooking for 55 - 60 people. Large 10-liter rice cooker is an ideal choice for restaurants, restaurants or factories.